Archbishop Carroll High School’s curriculum provides a rigorous introduction to a lifelong love of learning. Our program of study responds to our students’ diverse learning styles and talents, challenging them to be problem-solvers, thinkers, and leaders, with the skills to make the world a better place. We guide students to hear the call of their personal relationship with God, knowing and witnessing his works in class, in the community, and in their own growth. 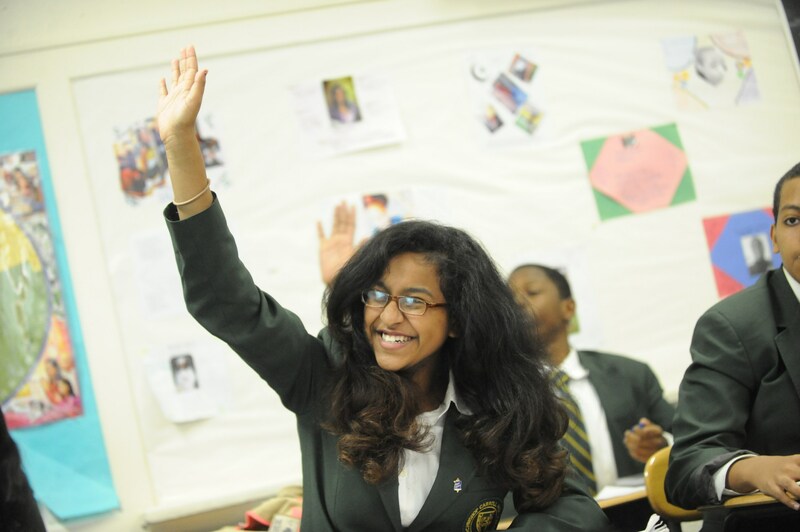 As an International Baccalaureate World School, Archbishop Carroll’s course of study is grounded in a respect for a global viewpoint, rigorous critical thinking, and responsible citizenship. All students take college preparatory courses beginning in the 9th grade and continuing through upper-level honors courses. Ninety-eight percent of Archbishop Carroll graduates continue their studies at institutions of higher education. Archbishop Carroll offers opportunities for students to choose to deepen their pursuit of knowledge according to their interests. All students have the opportunity to participate in International Baccalaureate courses and to pursue the full I.B. Diploma. During the 2015-16 school year, Archbishop Carroll introduced a formal STEM Pathway option to students who wish to study Engineering while in high school. This program gives students the opportunity to explore real- life questions and seek answers. Our Augustine Scholars program offers a special opportunity for mentoring and academic excellence for those students who distinguish themselves as true scholars upon application to the school. This selective program includes service projects, one-on-one mentoring with local college graduates, social and education activities, and an academic scholarship. Archbishop Carroll students can enroll in courses at The Catholic University of America (CUA) for no fee on a space-available basis. Students have taken philosophy, chemistry, psychology, Calculus II, and statistics at CUA.